Time to scour the new house for my stretchiest, comfiest, fill-my-belly-till-it-hurts pants. Amidst my nightly Hallmark movie watching ( not even gonna say I’m sorry) there has been more on my mind than just my endless grocery list. This upcoming feast day has stirred up some questions in my heart. Thankful… it’s EVERYWHERE…but what does it really mean? And what IS the difference between thankful and grateful? The history pages about the Very First Thanksgiving have been somewhat watered down for the elementary ages, but the premise still remains. The proper response to an act of giving is to be Thankful. It is why “thankful turkeys” and such cute Pintrest-y activities are preschool appropriate. Even a small child, in their small minded experience, can be taught to be thankful for what they have. It makes sense. Clearly Quinn’s mind and heart, in all of her 4 years, is thankful for the things that make her happy. No harm in that. She’s right where she should be in her understanding. She also puts her shoes on backwards. But how about us adults? Are we still listing things, like Q, that give us comfort, happiness, security and when services are rendered? 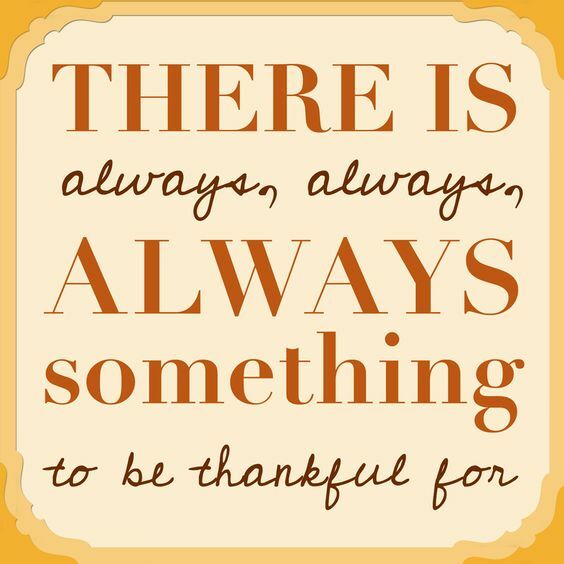 Are those the only things that come to mind when we think of being thankful? What happens when we don’t feel comfort, happiness and security? I do believe what starts as being thankful can turn into an attitude of grateful. Gratitude is a way of life. Seeing the positive in ALL things. But it can be a game changer. Gratitude can be unrelated to “what has be done or received.” It is almost an explainable joy within the circumstances you have been dealt. Can you see the slight difference? I think I am finally starting to. And I’d like to take Thanksgiving a step further. I am incredibly THANKFUL for the opportunity to pursue my dream of being a published picture book writer. There has not been a day gone by that I do not THANK the LORD for my editor who took a chance on a rising author, as well as my illustrator for bringing light and life to my words. But to my sadness and disappointment, my much-anticipated book release date has been pushed back about a year. That news was hard to swallow. I was hanging so much of my self-worth, purpose and joy on that original day in October of this year. So when the conversation occurred, my heart sank. There were so many tears and even shaking fists. I have been faithful and fearless. Why was this happening to me? But I now see that is the wrong attitude to have. I was clinging to the “what has been given to me” thankfulness. And when things were going according to my plan, the outpouring of “Thank you, God,” was abundant. But when the plan was altered, my thankfulness seemed to have disappeared. This was certainly not an attitude of gratitude. Rather, I was throwing a toddler-sized fit. Has God forgotten about my needs? My dreams? Am I being punished? The answer is no. To all the above. Once I quit my crying about the new date, I resolved that the only way to wake up everyday was to pray hard. Then I prayed even harder. I prayed that God would take away my disappointment and replace it with more gratitude than ever before about the current circumstances. Circumstances that could not be changed. But I could be changed. I wanted to feel joy again. I had been so blinded by the book news, that I couldn’t see the little blessings and new mercies that come EACH morning. And day by day, I began to change. My eyes were opened to the many wonderful, sometimes un-noticeable joys in my life. And not just any house. Fixer Upper X a million. And THAT, my friends is what God knew. When this house fell into our laps, ( literally) my heart was full again. Where there was a void of purpose and meaning and fulfillment in my days, he poured project upon project into our lives. Where there was once strife between husband and wife about our future and the ‘what if’s” and the ” why not’s”… there was unity and harmony. And for almost 30 days, we didn’t have floors, or sinks, steps or walls, but we had joy. And an abundance of it. But we are all engaged in a battle. A battle for our hearts. If we gauge our thankfulness on simply how life treats us, we are setting ourselves up for a very unstable, insecure way to live out our days. But, if we search hard and pursue contentment in the present- no matter what we are going through- we can live out a much more vibrant and meaningful journey. The one we were made for. Now try on those grateful goggles. Mine were a bit out of focus- but with time, my eyes have adjusted to what being happy, thankful and grateful truly mean. Let’s not only be full of thanks, but living out an attitude of gratitude. It’s a daily struggle, but the reward is great. I have renewed faith and hope that our future is very bright. Here’s to a GRATEFUL Thanksgiving and the 364 days that follow. I’ve been thinking a lot about the idea of feeling FULL. Not just because I stuffed myself yesterday, but in terms of my life. Have you ever watched a child at a birthday party unwrapping presents? I, personally, find it quite fascinating. They are utterly excited for the hidden gems fully decorated with bows and ribbons, pretty paper and topped with thoughtful cards. But once the parent has given the “go”- it’s like a race to the end. Everything gets tossed aside. Unopened envelopes, tearing through gorgeously prepared wrapping, all to get to the center of it. The prize. What did I get?? They might ogle a moment, even want you to open it and test it out for a few… but as soon as another brightly colored box comes into view- the new gift gets tossed, and it’s onward. Always looking for the next big thing. I mean, where are their manners?! Why aren’t they stopping to thank each and every party guest, acknowledging the thought & care that went into picking out the gift, and packaging each unique present? Instead, we see them throwing each gift aside in search of more. After all- who doesn’t like more? I’m pretty sure I’ve done that exact same thing. And not on my birthday. And not when I was 6. Children have such a funny way of making me feel like I am looking in a mirror. It’s very humbling. Let’s take a quick peek at the many things I have been given. Blessings- I like to call them. Each one arrives, sometimes neatly wrapped with a bow, my own name written in swirly letters and oozing with glitter on such a special occasion… Yet others come un-announced and seemingly un-frivolous. But non the less, they are blessings. A special gift in my life. Am I able to recognize them when they arrive? Even the small ones? The unwrapped ones? Can I give each blessing my full attention and overwhelming sense of gratitude? Or do I find myself playing with the gift for a moment, and then reaching for the next pretty thing on the table? Enough to make you Thankful. I promise you, this is the feeling. It’s a good one. When you can take what you have, and decide it is enough. Let’s do this together. It might take a while before it seems fully natural. We’ve got to exercise this essential muscle… so forget the Tredmill, Stairclimber and weights. Try thinking “Thank You”… for EVERYTHING. Really? Dirty diapers… no sleep… a stubbed toe… a stain on your new shirt…no more K CUPS??? 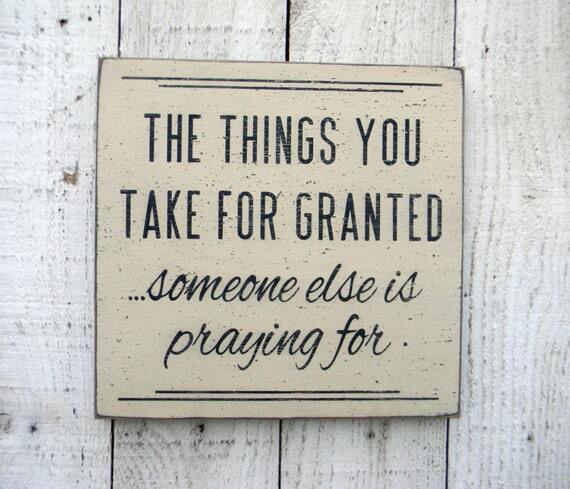 It’s the only way to train ourselves to be truly grateful. Not just for the delicious, pretty, amazing things. And not just on Thanksgiving. I’m off to count my blessings, and then take a nap. That turkey tryptophan is no joke! My mother agreed to let me create a “golden” themed Thanksgiving. I had a few ideas, but mainly just thought I’d be inspired when I was shopping. Along with my sister & the girls, we all shopped away at a few local stops to create my vision. We also grabbed some huge gold doilies for under the plates & some fun golden poufs. Then the we found fun gold mirrors & shiny boxes (dollar store) to spread all the way down the table. And the shimmer-y pine cones & leaves all simply spray painted matte gold & glitter gold we so easy to do! Add some tea lights, and Voila! Golden Thanksgiving! Many of these ideas can be used for Christmas, or New Years! !